Sep 10 Virtual Reality - has the hour finally arrived for marketers? Virtual Reality is jostling to team up with digital marketing as the future of advertising, and like Marty McFly struggling to hold on in the DeLorean, we can certainly predict where we’re going to end up, but there’s just no way to be sure. The technology has been talked up for decades, but now it seems the big players are zeroing in. Mark Zuckerberg of Facebook is one of the frontrunners, and you could safely say he knows how to spot an upcoming trend. The founder of the world's largest social media network has been bullish about the technology. "We are working on a whole new level of social experience. It's going to add a whole new layer of immersion," Zuckerberg said. So, has the hour for Virtual Reality finally arrived? Is demand reaching a tipping point? The demand seems to suggest so. With sales of virtual reality headsets and software expected to reach $1 billion this year, marketers should take note that while some technology can take time to come of age, VR offers a potentially huge opportunity to take advertising to the next level. With the current hysteria surrounding the phenomenon of new VR based game Pokemon Go, it would seem that consumers are now ready for a new virtual reality era. Looking to make virtual reality commonplace, more devices are coming to the market. The fight begins for market share. Advertisers and agencies are hoping VR will be the next bonanza in the marketing art of persuasion. But for now, marketers are dabbling with eye candy displays on YouTube’s 360 video channel and in their own apps - kind of parading the race car around, yet still unsure of what exactly will happen when they put the foot down. There are virtual reality movies and shows coming soon, but the question still remains what kind of ads, if any, will perform on the platform. Giants like Coca-Cola, Volvo and HBO are struggling to figure this out. Facebook is also only currently dipping their toes - they recently introduced 360-degree ads, including video ads from AT&T and Nestlé. But it’s not yet clear what kind of programming will catch on in virtual reality – besides video games - to provide a place for that advertising. Bloomberg reports that BMW and Volvo have released apps that allow users to simulate driving their cars. Additionally, Ikea of Sweden has created a program that builds a virtual kitchen. This is truly the great promise of VR marketing- total immersion advertising. Imagine not having to even leave your home to find out what car you’d like to drive, or kitchen to build in said home. As opposed to our current digital broadcast model, this is truly the Trump card of virtual reality. If it's not social, will it catch on? VR isn’t exactly the most social of pursuits - the headsets completely cut you off from the outside world. And while this is great for immersive gaming, the experience of surrounding users with video and sound can also leave some feeling isolated and far from connected. The most social platform ever? Yet, despite the new marketing horizon that beckons, virtual reality still remains on the fringes of advertising- while the Oculus Rift has dropped to around $600, the cost of a headset is still a barrier, and production costs are steep. Like hurtling through space and time in the DeLorean, it seems difficult to predict and position for the future in virtual reality marketing. 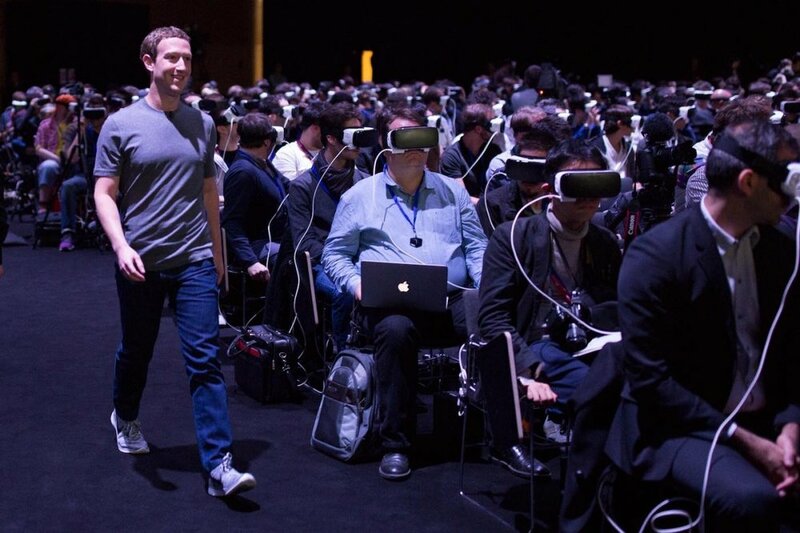 But maybe Doc – or perhaps Zuckerburg – can come up with the goods before virtual reality lightning strikes the clock. Sep 27 The Snowden debate - is the web a weapon of oppression or marketing salvation?